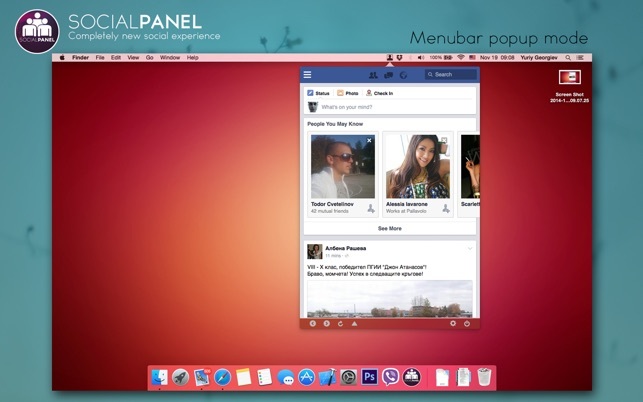 SocialPanel brings completely new experience to access your favorite social networks from your desktop. 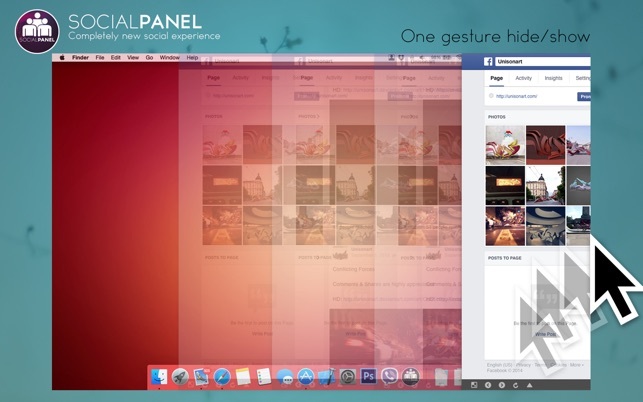 SocialPanel stays hidden from your desktop without disturbing your work and fades in or out when you move your mouse to the very right side of the screen (excluding the corners so you can use the OS X hot-corner shortcuts). 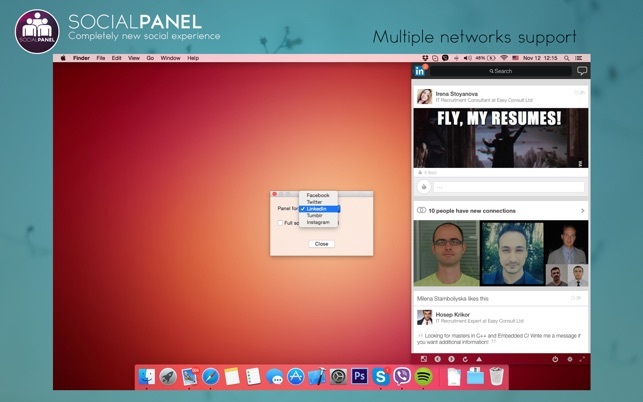 When shown, SocialPanel is placed over all windows (including the menu bar) so you can have complete focus on your social activity. 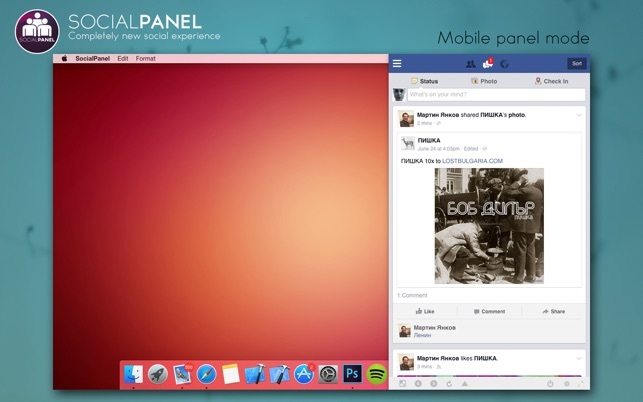 SocialPanel has 4 main visual modes. 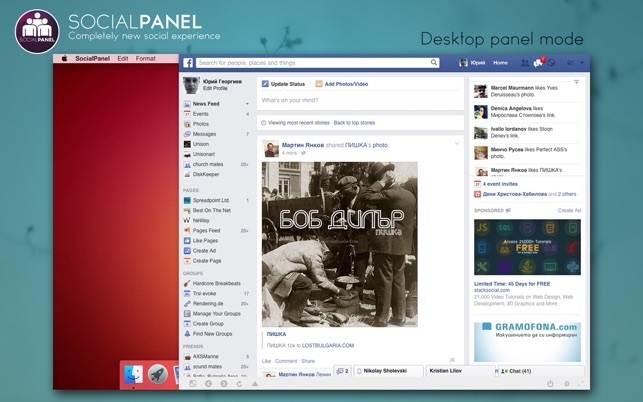 SocialPanel supports file upload, opening links to external browser, back to top feature and more. Bring your social experience to the next level! 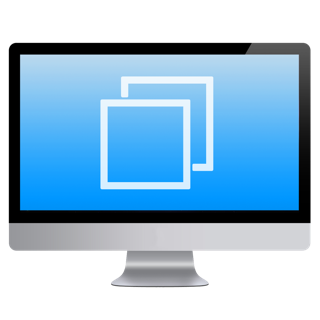 AppGenome - create desktop app from any Website!